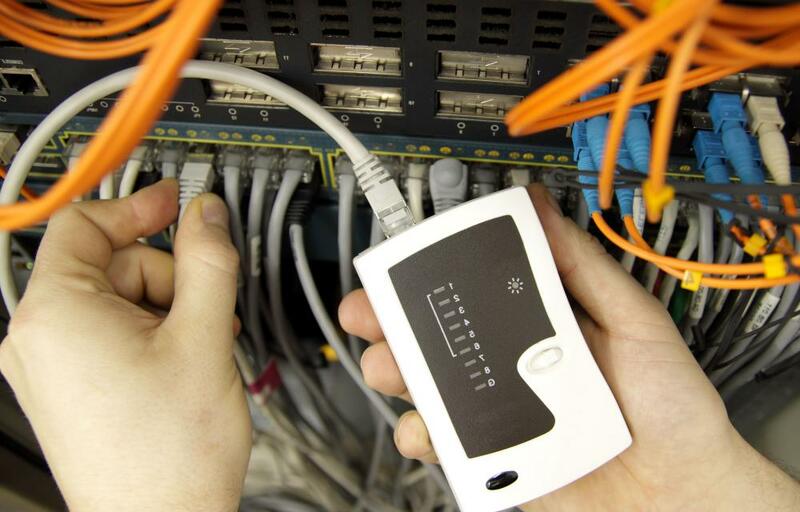 Network tools are often used in conjunction with manual troubleshooting to locate network issues. Network tools may be used to balance incoming requests, to provide security or to backup system data. In computing, networking is generally a sophisticated activity that requires technical knowledge and the right network tools. The use of network tools are generally useful for many individuals and businesses. They can be used in a wireless network and a computer network. Examples of the different types of network tools are network management tools, network security tools, network backup tools, and network monitoring tools. A complete set of network management tools includes security backup tools and monitoring tools. These tools are often helpful in monitoring the performance of a network, such as its connections, and server uptimes and downtimes. They are also important in analyzing and reporting the activities going on in the network. This set of tools usually includes a user interface that allows management of one's network remotely via the Internet, a desktop client from another computer, or from a mobile device. The use of network monitoring tools focuses more in monitoring activities in the network. It often allows notification, via email or mobile device messages, of any connection failures or outages. Common problems that are detected by network monitoring tools include server crashes, failing network connections, and overloaded systems. These tools also monitor various links by constantly sending out probes across the network to check if all links and connections are healthy and stable. Aside from these tasks, network monitoring tools also optimize routing methods and algorithms to maintain optimal performance and to prevent network downtime. One of the most important areas in network management is security. The main objectives of network security tools are to maintain network integrity and prevent malicious attacks on servers and systems within the network. These tools usually do this by checking the vulnerability of the network connections and servers. They usually scan data that goes in and out of the network and capture anything that raises alarms. Often, these tools are installed first before the network goes live to minimize the risk of malicious activities. Backup network tools can either be used on individual servers or computers. These type of network tools can also be used to backup data that is spread across the network. Usually, the data is backed up on a single server, but in a network setting, it is often useful to have multiple backups to increase data security. Most of these backup network tools work together with security and monitoring tools to make sure that the data being transmitted across the network is secure and will not be lost. What Is Involved in Wireless Network Management? What Are the Different Types of Network Trainee Jobs? What Is Windows Management Instrumentation? What is a Tree Network? What is Network Security Analysis? What is a Ring Network? There is a great deal of network monitoring tools on the market that it is hard to choose them at all. It took our company certain time to choose the most appropriate one. We have a cloud-based monitoring tool all in one. It is an ideal variant for small business. @miriam98 - I think backup is the most important function of the administrator. We are a software company, and our source code is our life line. If we lose the code, we lose the business – period. I don’t know what kind of a backup scheme our administrator has, but I would assume he has at least a few redundant backups in several safe locations. If it were up to me, I would also hook up with some online backup services as well for additional protection. These wouldn’t be the services that cater to users, but more specialized services meant for secure, business data. @nony - I’m pretty sure that my administrator has some network bandwidth tools that he uses to monitor how much traffic is being transferred on the network. A big no-no in the office is that of employees using the Internet for leisure purposes. Using it for research is okay, but surfing the Internet is prohibited. Of course, we all know that everyone does it anyway, and it’s almost impossible to stop unless you restrict network access altogether. The worst offenders are people who watch videos or other streaming media online. That eats up tons of bandwidth and the administrator knows about it right away. It’s gotten to the point where he simply shuts off access to the video file sharing sights. No one could possibly have a legitimate research purpose for visiting those sites anyway. @Mammmood - I’ve heard of some LAN network tools that act as what are called “honeypots.” A honeypot is basically bait; it lures a potential attacker into the network, by creating a fake network more or less, and then redirects the traffic someplace else not connected to the network. I don’t know if we have honeypots at our workplace but they are very popular among people who want to foil the hackers. They are part of a security toolkit known as intrusion detection. I kind of like the concept. It’s very proactive. Rather than wait for an attack, just create bait, and then send the network attack on its way. Our network administrator has a number of tools in his arsenal which enable him to locate and troubleshoot network problems. Sometimes he works at home but that doesn’t prevent him from being able to solve network problems. He has network administration tools which enable him to log in remotely and make the necessary fixes. On more than one occasion he’s logged into my desktop remotely, took command of the computer and fixed problems that I was having. That versatility makes it possible to be very productive even if I am on traveling on a business trip. He can still log in wirelessly and make changes to my laptop’s configuration.